As the Great War entered what would be its last year, it seemed that the con?ict would only end when there was no-one left alive to ?ght. Already the strength of the British, French, German and Austrian armies was declining, yet, conversely, it would be fresh troops sent to the Western Front that would de?ne the ?ghting of 1918 and lead, at last, to peace. As the pressure grew on the German forces on the Western Front, the Kaiser abdicated and his generals sought to save their country from invasion by requesting an armistice. Finally, at 05.05 hours on the morning of 11 November 1918, the Armistice between the Allies and Germany was signed. At 06.50 hours a message was sent from Field Marshal Haig's headquarters. It read: 'Hostilities will cease at 11.00 hours today, November 11th.' The guns at last fell silent. 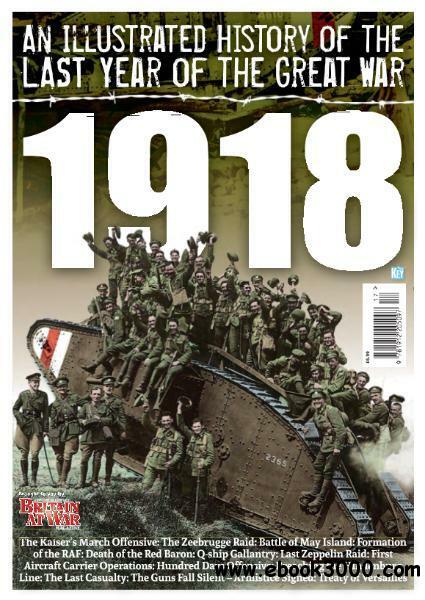 This, and a catalogue of other events examined in this 132-page special from the team behind Britain at War Magazine, tell the story of 1918.